Retinol (vitamin A) is your tried and true form of skin rejuvenation. From improving skin ageing, recovery, pigmentation, redness, blemishes & pore refining, this natural, wholesome ingredient is responsible for improving the quality of skin time and time again. To bring it back to the basics, retinol is essentially a derivative of vitamin A. This vitamin is one of the body’s key nutrients for boosting cell turnover and retinol is the form of vitamin A which continues to make headlines. 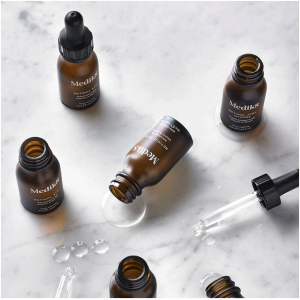 We love the extensive Medik8 retinol product line that ranges from Night Ritual Vitamin A™ (0.2%) to maximum strength Retinol 10TR™ (1%), providing options for both beginner and highly experienced Vitamin A users! Medik8’s Retinol 3TR is the perfect example of an amazing treatment that works while you sleep to speed up the natural exfoliation process, and the best part is, we’re proud stockists! At La Peau Skin Rejuvenation- we offer a range of Medik8 products that specifically benefit your skin, resulting in an improvement of your skin’s texture and complexion. Better yet, as Medik8 registered therapists, we are intensely educated in basic skin physiology and can successfully analyse your skin and deliver real, visible results with the products and treatments we recommend. So to sum it up, results-driven anti-ageing skincare does not have to be complicated! Take the first step towards healthier skin by contacting us today!